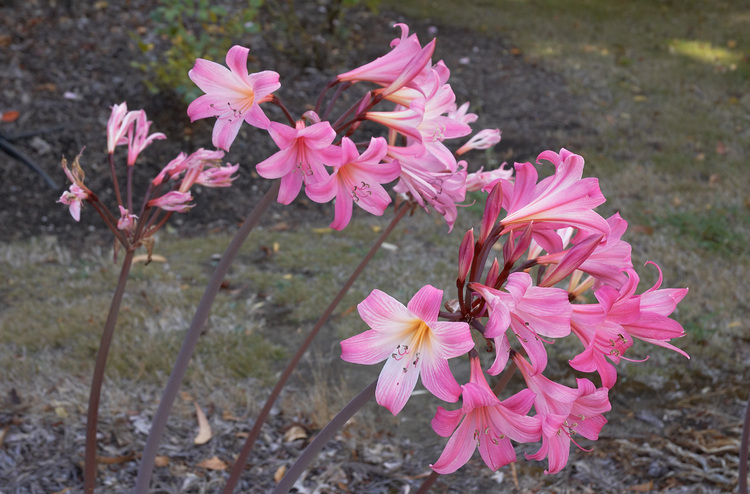 Out for a drive with Michael, and we stopped to look at this stand of Amaryllis Belladonna (Easter Lily). OK, I stopped, and Michael didn't object. Details: (1) — Nikon 18-70mm kit lens, 40mm, f/8, 1/125s, ISO 400. (2) — Nikon 50mm 1:1.8D, f/1.8, 1/5000s, ISO 400. 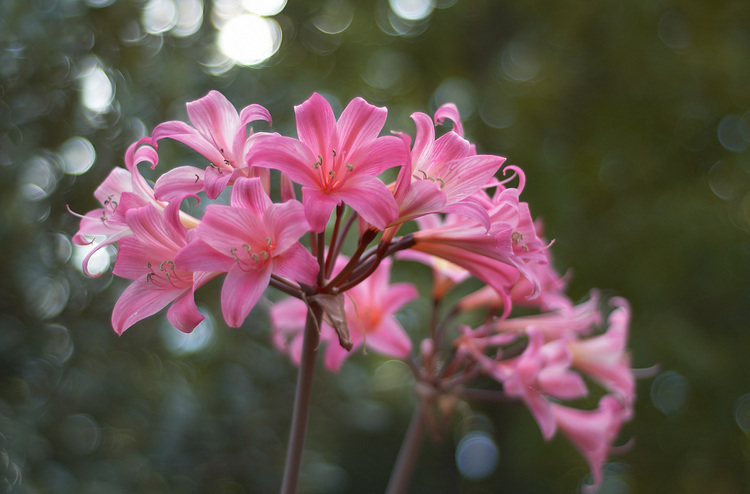 (3) — Nikon 50mm 1:1.8D, f/1.8, 1/2000s, ISO 200. (4) — Nikon 50mm 1:1.8D, f/2.8, 1/640s, ISO 200.
daisies: Don't forget it's autumn for me :-). 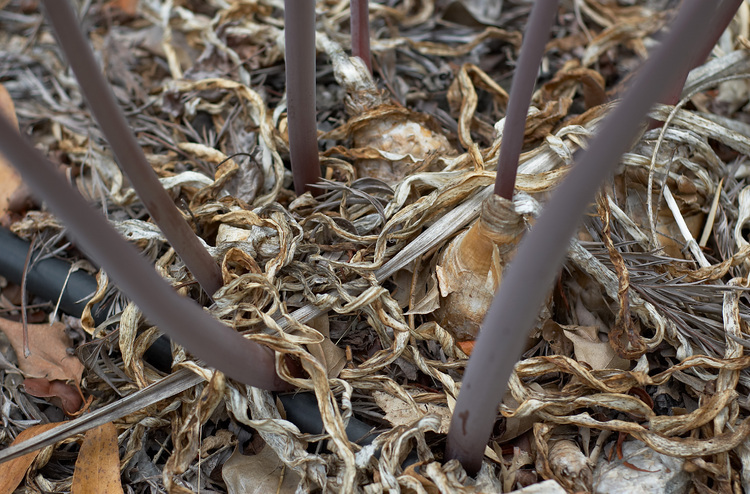 I think that's why Easter Lilies have always had such an appeal for me -- they rise leafless from dry ground, at a time when there's nothing else around that's like them. They do need a little bit of water in summer -- when I was a kid, the ones near the tap where we washed paint brushes, always seemed the best. Stunning... This is, in my oh so humble opinion, some of your best work. You seem to capture every aspect of the image so perfectly, almost as if you sculpted it from your mind's eye as opposed to taking what was presented to you. 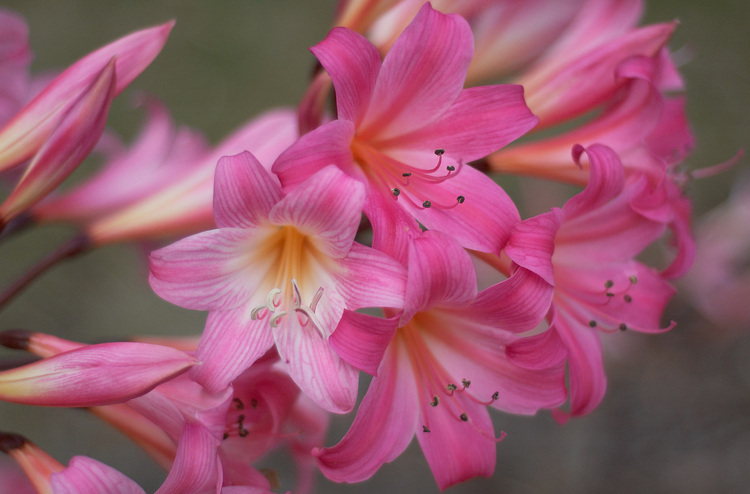 Beautiful photos - thankyou :-) Im writing form Aotaeroa New Zealand where we too grow these lovely flowers. My name is Belladonna and tonight I googled the word for curiosities sake - these are the lovliest photoes that came up! This is one beautiful flower. I tried growing one as my daughter is named Belladonna, but it died for some reason, as do most of my plants. I'm going to try again, because not only is my daughter named after it, but all the Belladonna flowers truly are beautiful. I just saw this flower in a garden and it is very beautifull! . I will try to grow it next year. The photos are beautifull to.